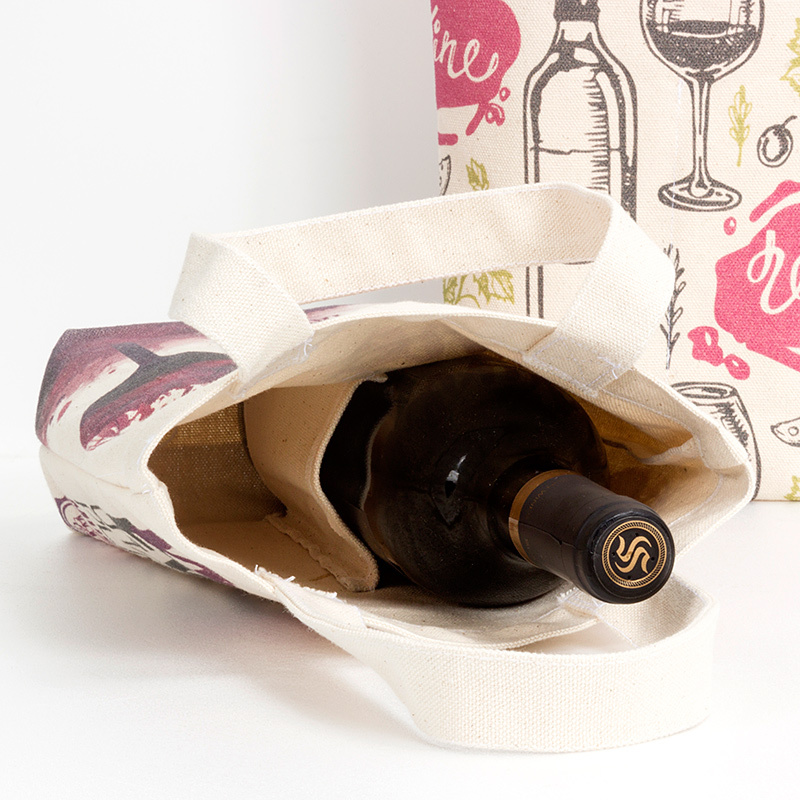 The eco-friendly canvas winebag is suitable for personal use in shopping, for holding wine when visiting friends or picnic outings. 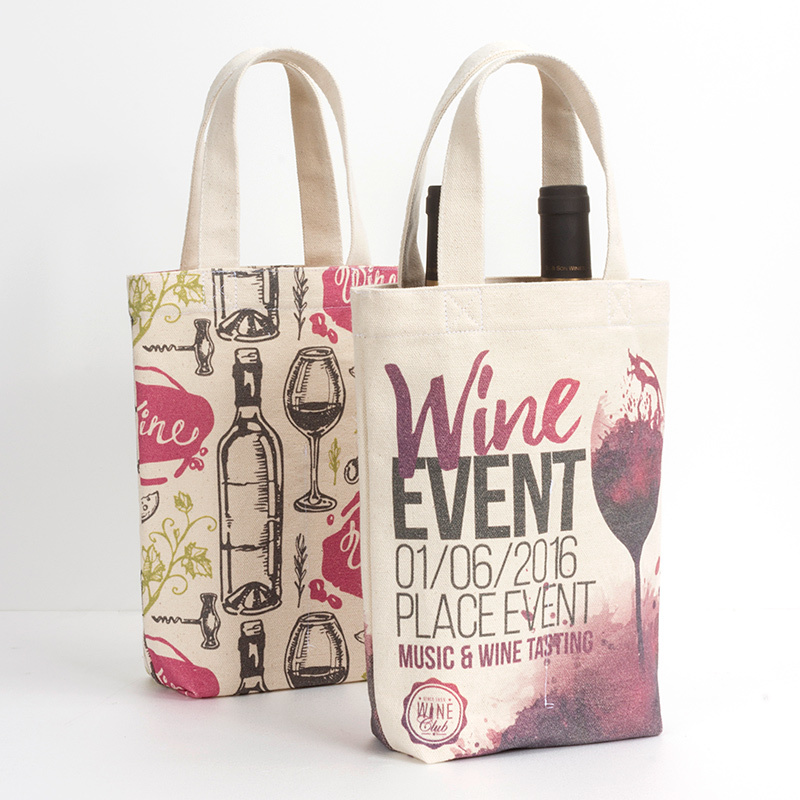 Logo by direct digital printing adds value when the winebag is used in your product promotion or campaign. 20	pcs in 1	carton of 33.7*32.2*18	cm with gross weight of 4.5	kgs. 40	pcs in 1	carton of 41*32*26	cm with gross weight of 7	kgs. 60	pcs in 1	carton of 47*33*30	cm with gross weight of 9.5	kgs. 80	pcs in 1	carton of 51*38*31	cm with gross weight of 12	kgs. 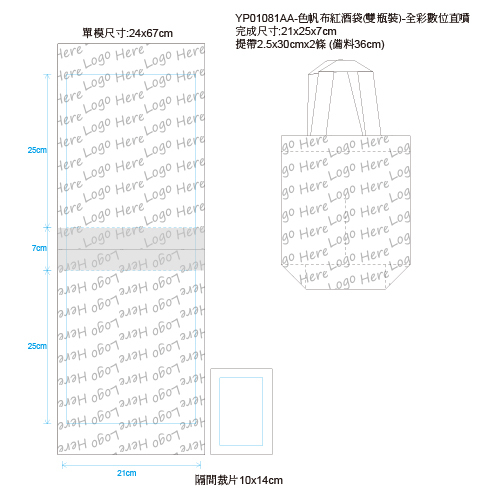 100	pcs in 1	carton of 49*44*36	cm with gross weight of 15	kgs. 120	pcs in 1	carton of 49*44*36	cm with gross weight of 16.5	kgs. 140	pcs in 1	carton of 51*46*39	cm with gross weight of 19	kgs. 160	pcs in 2	carton of 51*38*31	cm with gross weight of 24	kgs. 180	pcs in 2	carton of 49*44*36	cm with gross weight of 26	kgs. 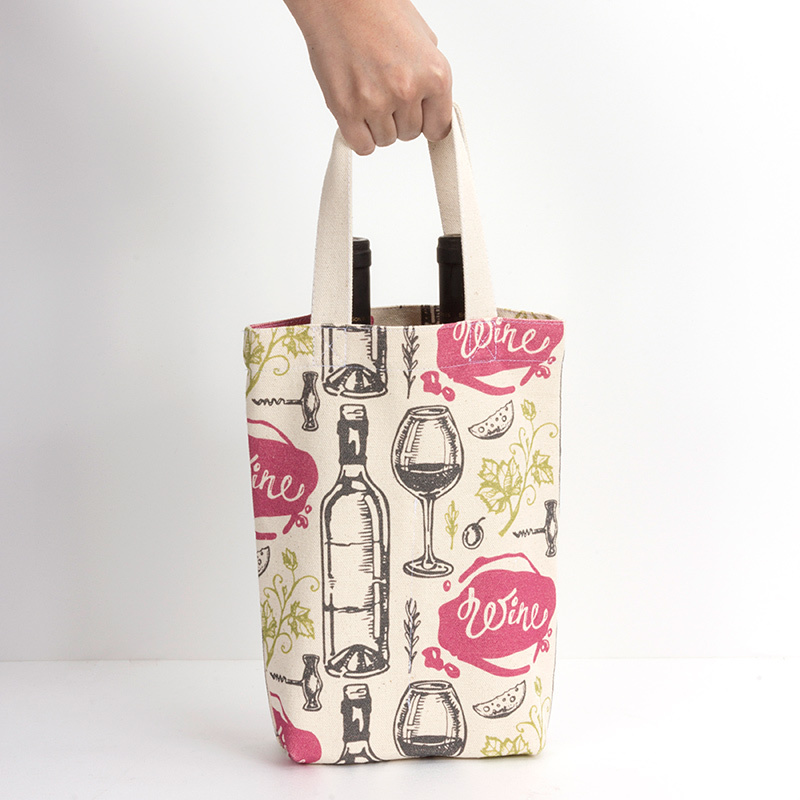 200	pcs in 2	carton of 49*44*36	cm with gross weight of 28.5	kgs.